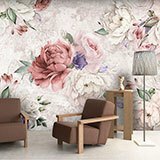 Wall mural Flowers antique wallpaper. 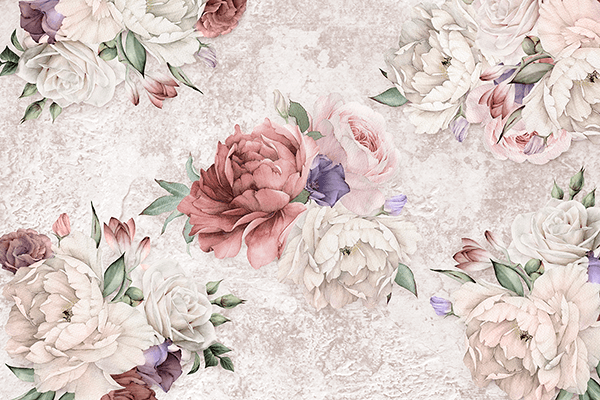 Magnificent watercolor illustration in the form of a print of flowers and white roses. Fabulous design of soft and pleasant tones to promote tranquility. 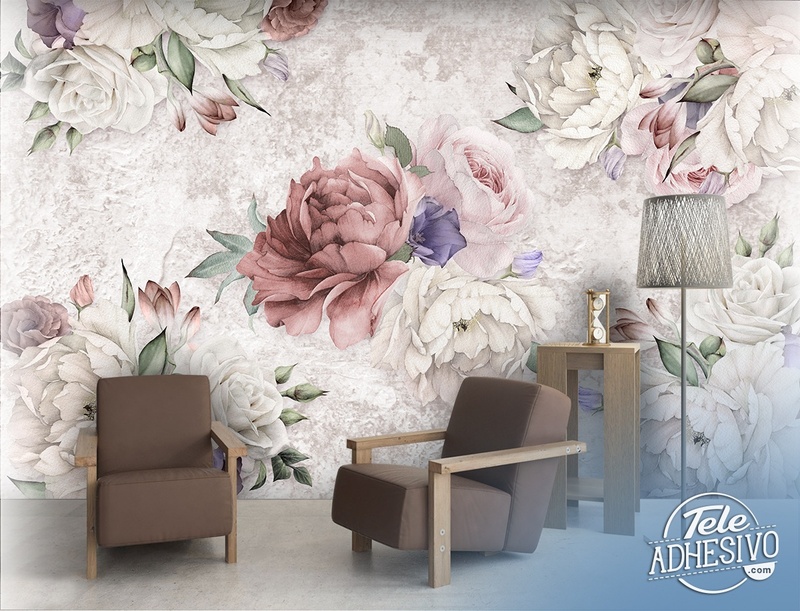 Decorate any room, from the kitchen, to the bedroom or your most personal corner.